In the heart of Madhya Pradesh, Khajuraho stands as a cultural synonym to the heritage of India, thus giving it a sculpturous identity. Arguably one of the top destinations to visit, the realistic carvings of the temples here represents Kamasutra in the most stunning way, one can imagine. 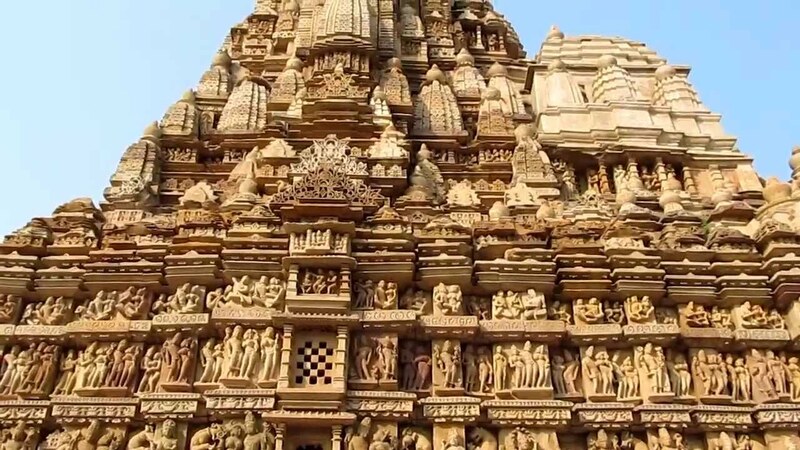 Khajuraho was established by the Chandela Dynasty and it used to be their capital city. Khajuraho word was coined from the tree of “Khajur” (date palm), which was abundant in that place. As the reign continued, the town saw the construction of around 80 Hindu temples between 950- 1050 A.D. Though the Chandelas later moved to Mahoba, but the grandeur of the temples continue to stand as a poignant message of the past. 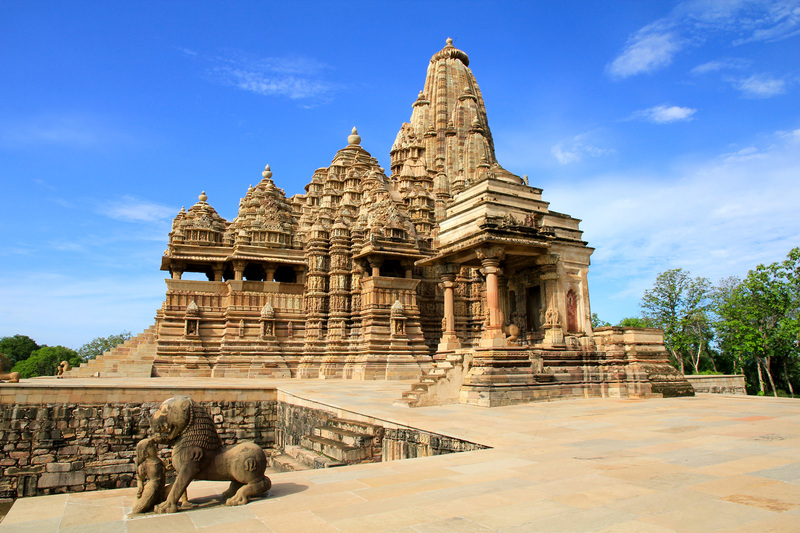 Temples of Khajuraho were discovered in the 20th century. Witness to a highly developed civilization; each and every pillar and wall here reflect the Indian architectural genius of the medieval times. Unfortunately, only 22 of the 80 temples are left today post the natural calamities. 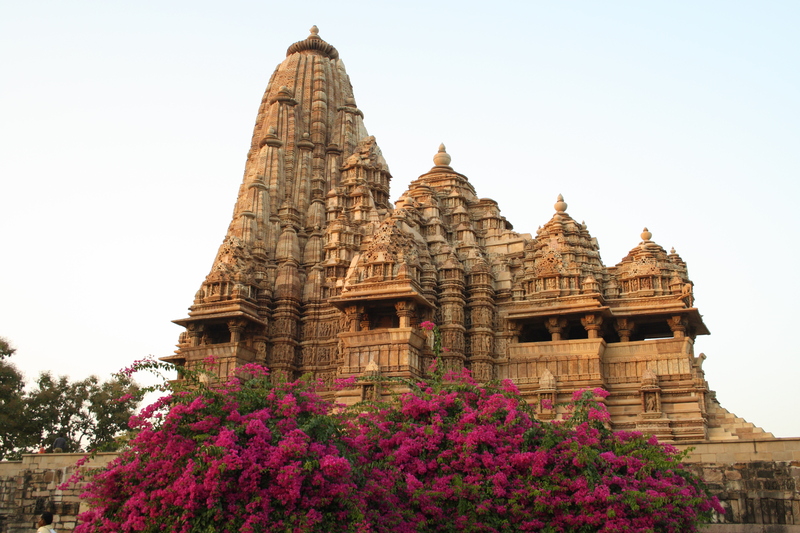 Temples of Khajuraho are divided into Western, Eastern and Southern. The Western Side considered the most elaborate, is dedicated to Kandariya Mahadev or the Great God of the Cave. Although the temples of Khajuraho are known for their sensuous sculptures of Shiva and Shakti, but it is a very small part. While walking through the complex, a visitor will find some Jain pantheons and also Brahma, Vishnu and Shiva as the Holy Trinity. Many of the carvings and sculptures here are based on meditation, spirituality, kinship, wrestling and royalty. 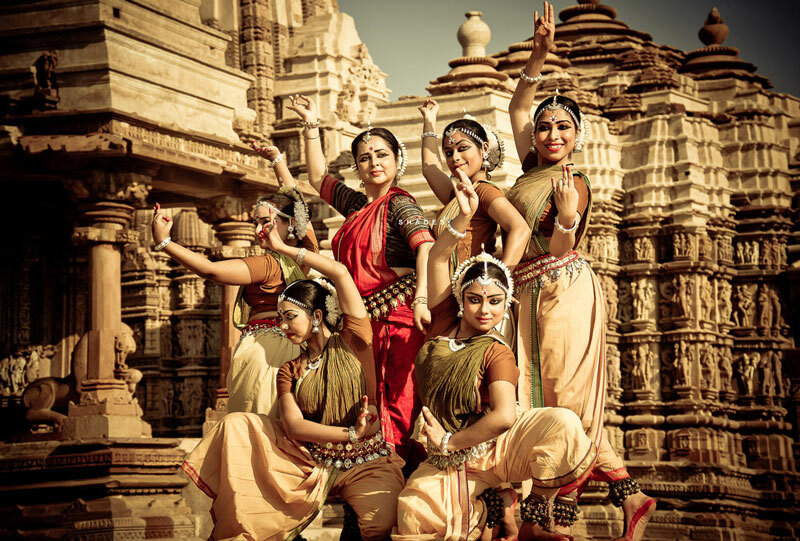 Comes February and the Khajuraho Group of Monuments turn into a venue for the six-day long festival. Culture enthusiasts flock from all over India to watch classical dances of prominent artists on the same platform. Temples of Vishwanath and Chitragupt in the Western Group are lit with lamps and thus create a magical backdrop. Legendary classical dancers from all over the country come here to perform Bharatnatyam, Kuchipudi, Odissi, Manipuri and Kathak. Puppet shows, folk dances and songs of various states are also presented here with great vigour. This festival has attained popularity not only in India but also on International level. Alongwith Indians, a lot of foreign tourists come here to be a part of the culturally enriched dances and experience the beauty of human emotions. 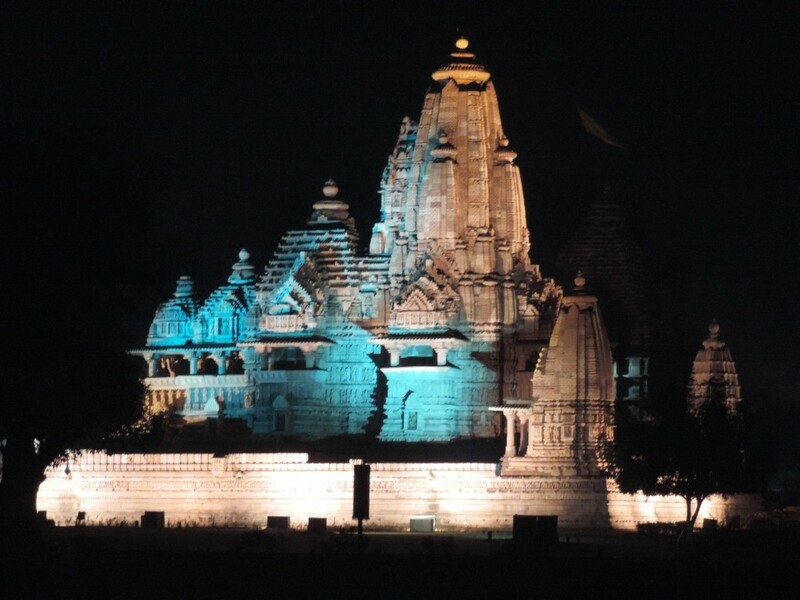 Know the history, facts and myths of Khajuraho with the Light and Sound show in the Western Group of Temples. Artificial light and special sounds are intelligently used to narrate (voice of Amitabh Bacchan) the story of the temples and their art and architecture. The show is available is Hindi and English throughout the year. 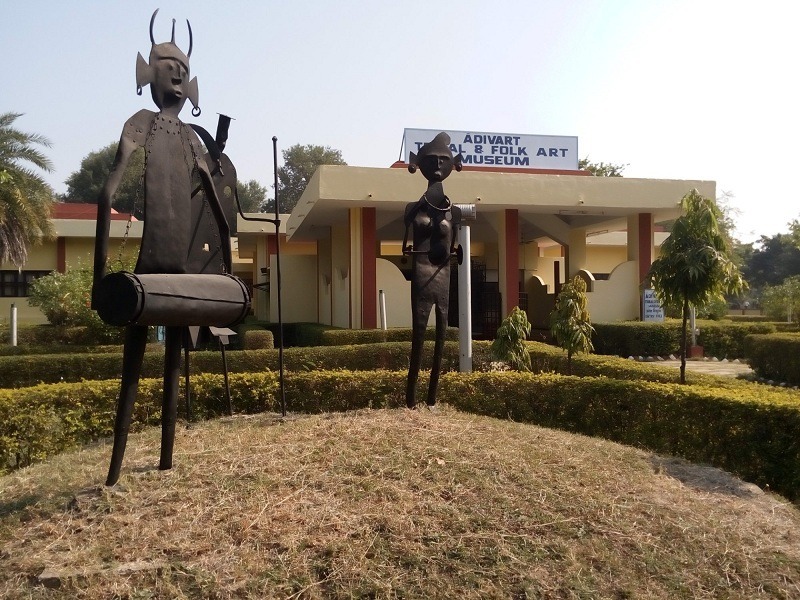 Chandela Cultural Complex in Khajuraho has the State Museum of Tribal and Folk Art. It showcases a vast collection of tribal antiques, folk paintings, jewellery, masks, terracotta objects, metal craft and bamboo items. It is also a great place to know the customs and traditions of the tribal people. 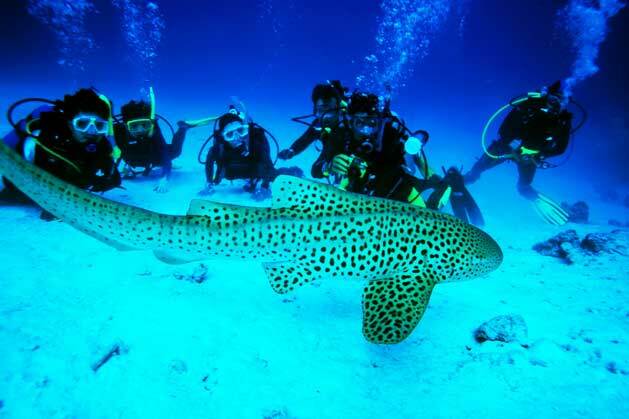 Other such places to watch are Archaeological Museum, Maharaja Chhatrasal Museum and Jain Museum. On the outskirts of Khajuraho city, is the beautiful Beni Sagar Dam constructed over River Khudar. People come here for boating, fishing and picnics. An ideal place for nature lovers, the mesmerizing waterfall about 22 km from Khajuraho is a nature lover’s paradise. 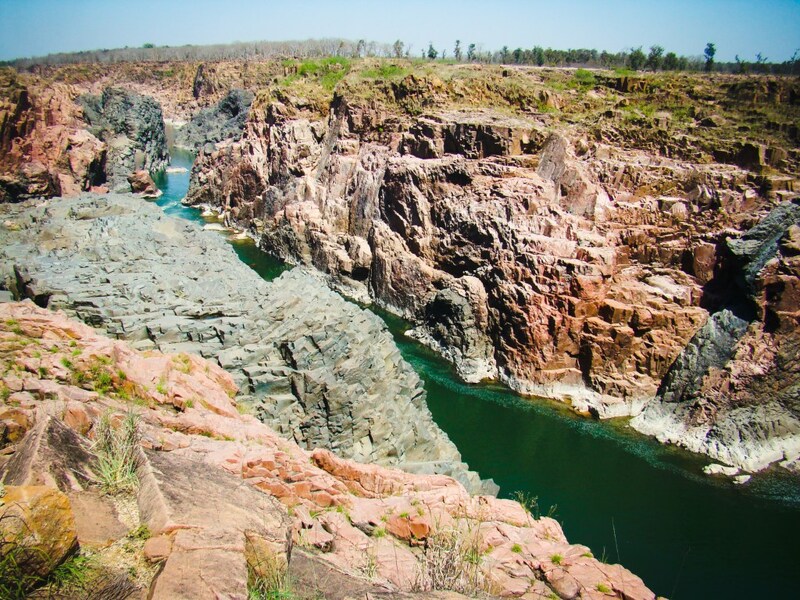 Nearby Panna National Park is also worth visiting. Khajuraho has a domestic airport that connects Delhi, Mumbai, Varanasi, Allahabad and Bhopal. From airport, you can hire a cab or a taxi till the temple complex. Khajuraho Railway Station is the entry point for the Khajuraho Group of Monuments. 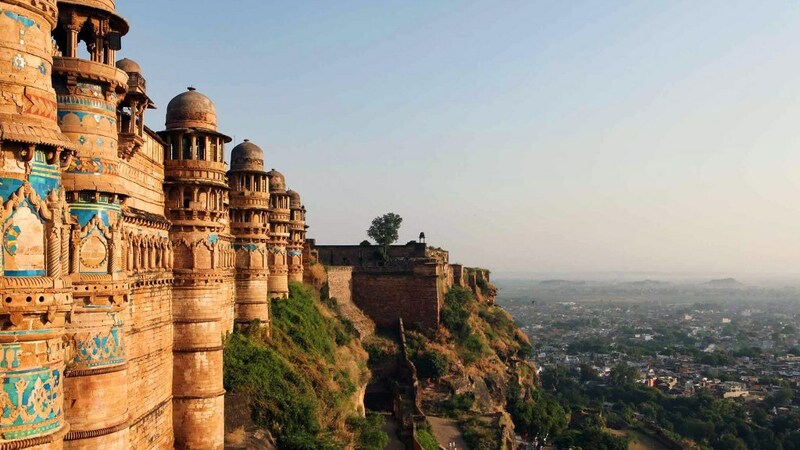 It connects to Agra, Jaipur, Udaipur, Delhi, Mahoba, Jhansi and Gwalior. Khajuraho has a good bus network and excellent roads. Luxury and local state-owned buses run from Khajuraho to neighbouring cities like Jhansi. Cab and Taxi services are also easily available and quite reliable.